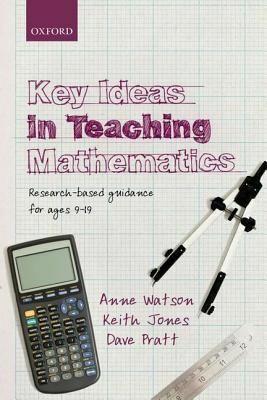 Description: Big ideas in the mathematics curriculum for older school students, especially those that are hard to learn and hard to teach, are covered in this book. It will be a first port of call for research about teaching big ideas for students from 9-19 and also has implications for a wider range of students. These are the ideas that really matter, that students get stuck on, and that can be obstacles to future learning. It shows how students learn, why they sometimes get things wrong, and the strengths and pitfalls of various teaching approaches. Contemporary high-profile topics like modelling are included. The authors are experienced teachers, researchers and mathematics educators, and many teachers and researchers have been involved in the thinking behind this book, funded by the Nuffield Foundation. An associated website, hosted by the Nuffield Foundation, summarises the key messages in the book and connects them to examples of classroom tasks that address important learning issues about particular mathematical ideas.